Born in Japan on November 8, 1947, Shihan Fumio Toyoda was a modern Aikido and Zen master who the founded the Aikido Association of America, the Aikido Association International, in addition to other orgazinatoins. The word “shihan” is translated to mean “teacher of teachers”. This reflects Shihan Toyoda’s responsibility not only to teach Aikido, but to instruct his students to be competent teachers themselves. 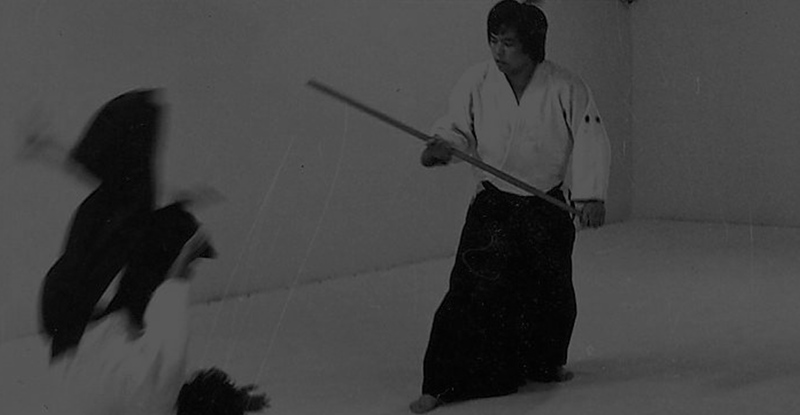 The hallmarks of his instruction was powerful, effective technique, clear instructional methodology, the importance of instructor certification and training, and the spirit of Budo which must inspire and motivate all of our activities. The Toyoda name is an old one, ultimately traced back as a branch of the Fujiwara clan, one of the ancient noble families that vied for control during the early civil wars in Japan. It was such conflicts which ultimately led to the settling of this branch of the Toyoda on their current family lands in Tochigi prefecture, some 60 miles north of Tokyo. This occurred about 400 years ago; at that time the area was undeveloped and far from the center of power in Kyoto. It is believed that the Toyoda, having backed a losing side in war, were forced to move to this place. There, they took up the life of the samurai-farmer. Their mon (family crest) that of the Fujiwara- can still be seen on the eaves of the old family farmhouse. At the battle of Sekigahara, which resulted in a decisive victory for Tokugawa Ieyasu, founder of the Tokugawa shogunate, the Toyoda were this time on the winning side. The result was a large amount of land, which remained in the family until the land-distribution policies of MacArthur reduced it. Today about 50 acres remain. Interestingly, these ancestral lands are adjacent to the lands of another prominent Aikido teacher: Koichi Tohei. The Tohei and Toyoda families have been neighbors for centuries, periodically squabbling over their boundary, which is marked by a stream. This close proximity to the Tohei family was to have a decisive impact on the direction of Toyoda Shihan’s life. His older brother Toshi, an Aikido student under Tohei Sensei, would often take the young Toyoda with him while attending classes. At first this was a babysitting arrangement. At age 10, however, Toyoda Shihan himself began Aikido training. He continued throughout his childhood, also studying Judo from age 12 (during which, he recalls, he broke his collarbone twice). Eventually he abandoned Judo to concentrate on Aikido completely. At age 17 he was awarded his shodan rank. 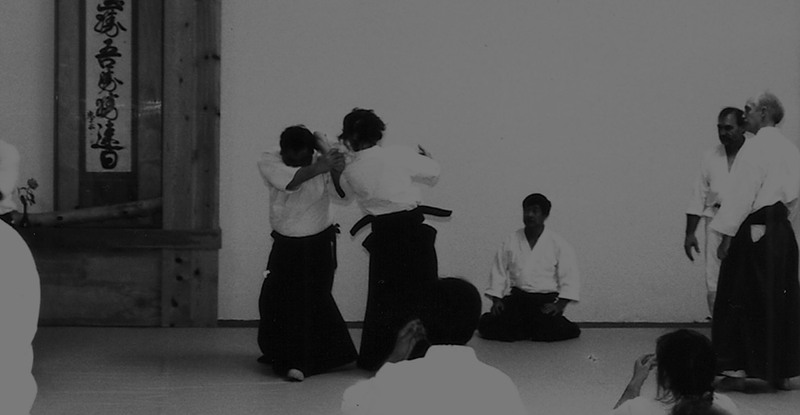 Tohei Sensei was in Hawaii at the time instructing, so the examination was given by the famous Morihiro Saito Sensei. It was at age 17 that Toyoda Shihan also began misogi training, a tradition at the dojo of Tohei Sensei. In particular, this was the training in breathing and Zen meditation given at the notorious Ichikukai Dojo in Tokyo. Ichikukai was founded by a student of the renowned Meiji-era swordsman, calligrapher and Zen master Yamaoka Tesshu; it still carries a reputation for extremely difficult training of a type rarely undertaken by modern persons. Toyoda Shihan recalls the pancake-size layers of skin that would come off his knees from kneeling so long on tatami during breathing training, and the scars many trainees would develop from senior students striking them repeatedly on the back to help them ‘get the air out’ even after blood had soaked through their clothes. At age 18, Toyoda Shihan entered Senshu University to begin studying law. He lived for a brief time with the late Akira Tohei Sensei at an apartment near the Aikikai Hombu Dojo in Tokyo, attending classes with O-Sensei Morihei Ueshiba as well as the future Doshu Kisshomaru Ueshiba. Shortly after, while still continuing to train at the Hombu Dojo, he moved into Ichikukai dojo as Jyoju, a resident disciple. Here, in addition to the misogi training mentioned earlier, he formally began Zen training under the guidance of Tesso Hino Sensei, the dojo-cho of Ichikukai, and Bokugyukutsu Keizan Roshi, Zen master, who would come once monthly to conduct sesshin (intensive Zen retreat). For three years he endured the training at Ichikukai, while also going to school and training in Aikido. He recalls this time as being one in which there was no time for rest. The severity of the training at Ichikukai, coupled with his studies, tested his endurance to its limits. After completing his time at Ichikukai, Toyoda Shihan moved to an apartment again near Hombu Dojo, where he continued to attend classes three hours each day. At this time he finished his law studies and graduated from Senshu. But, upon reflection, he had an important realization: he was not interested in law as a career. Aikido, and the life of shugyo or intensive training, was what truly mattered to him. Making the decision to pursue Aikido professionally, he enrolled as uchideshi (live-in disciple) at the Aikikai Hombu Dojo. By this time O-Sensei had died. Toyoda Shihan therefore became the first uchideshi directly under the new Doshu, Kisshomaru Ueshiba. Now at age 22, he was ranked sandan and was assisting with instruction at several locations. At this time, the current Doshu, Moriteru Ueshiba, as well as Hayato Osawa, the son of the late Kisaburo Osawa, were beginning their training. At age 24, Toyoda Shihan was awarded the rank of yondan. His teaching activities in Japan would eventually include classes at 11 dojo, including Daio Bunka University, Seikei University, and International Christian University. 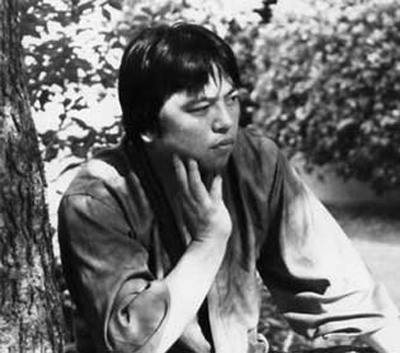 He also traveled to South Korea, where his instruction included classes for hapkido groups and the Korean CIA. He traveled often as otomo (attendant and demonstration assistant) for Kisshomaru Ueshiba, and had contact with many other prominent teachers such as Saito Sensei and Yasuo Kobayashi Sensei. The dramatic split which shook the Aikido world occurred at this time, when Koichi Tohei, then the Chief Instructor at Aikikai Hombu Dojo, left the Aikikai to develop his own Ki no Kenkyukai (Ki Society) organization. Toyoda Shihan followed his obligation to his original teacher, and sided with Tohei Sensei. Eventually, he was given the position of Chief Instructor of Aikido technique for the Ki Society. He also was the author of the bylaws for that organization. 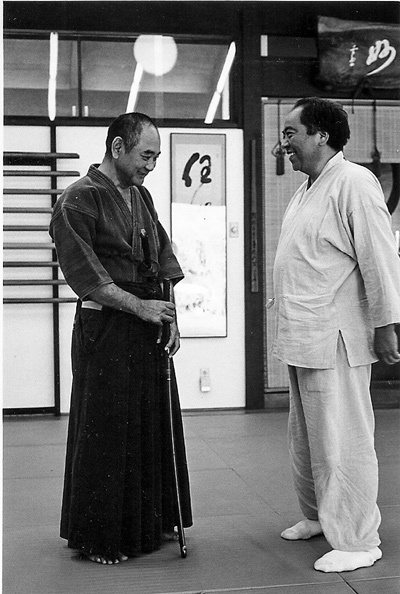 In 1974, at Tohei Sensei’s direction, he settled in Chicago to begin spreading Aikido in the United States. He was 27 years old, and now held the rank of godan. 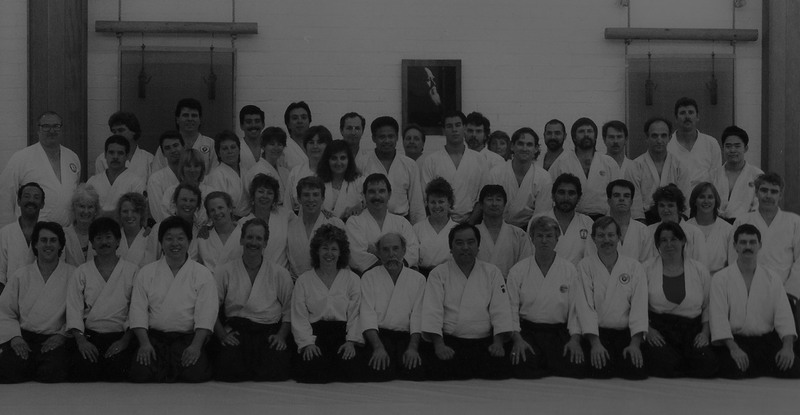 There was very little Aikido in the mainland United States in 1974, and so there was little base to build upon. 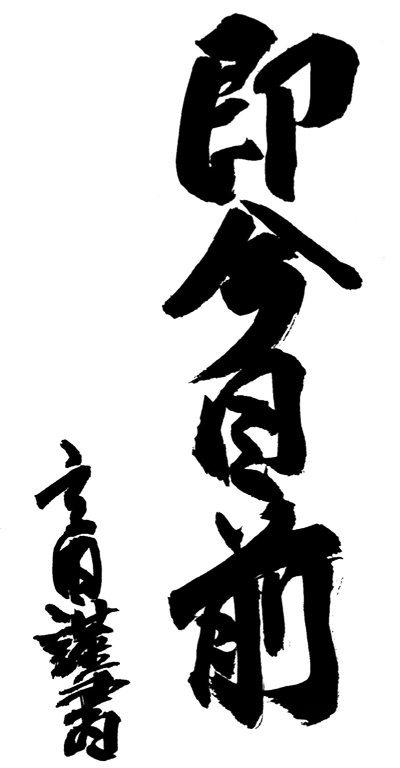 Through tireless work, Aikido began to spread and develop. Traveling nearly every weekend for many years to teach and organize across the United States, Toyoda Shihan (now ranked rokudan and independent from the organization of Koichi Tohei Sensei) founded his own organization in 1984: the Aikido Association of America. Dojo were established in cities and towns which had no Aikido; students trained and eventually became instructors; new affiliates were born. Along with these travels, Toyoda Shihan worked to develop AAA’s headquarters in Chicago. It was there that the first of the National Instructor’s Seminars was held; AAA was the first organization to offer such a training, ‘teaching how to teach’ rather than simply practicing. It is this recognition ( that teaching requires a unique and advanced set of skills not necessarily imparted through general practice alone) that has been at the core of Toyoda Shihan’s work. Today, all of his instructors are required to be re-certified through attendance at such a seminar at least once every two years. The result of all of this is that today the Aikido Association of America is the largest organization under a single Shihan-level instructor in the United States. With growth continuing at its present pace, AAA will soon be to be the largest of any Aikido organization in America. And, more importantly, Aikido can now be found in almost every major city in America. While it is easy to talk about this growth as a natural process, it is truly only through the physical work of Toyoda Shihan, traveling and sacrificing on a daily basis with the same intensity and energy he learned as a young trainee at Ichikukai Dojo, that this has occurred. Growth has occurred internationally as well. Responding to the request for quality Aikido instruction from many other nations, Toyoda Shihan founded a sister organization of AAA, Aikido Association International (AAI). AAI currently oversees instructional programs in 11 other nations, including new branches in Japan itself. A third organization, Aikido International Foundation (AIF), was founded as well. A federally tax-exempt, not-for-profit educational and charitable organization, AIF provides economic and other assistance to Aikido practitioners in many nations. There have been other activities. The Japanese Culture Center, a place where persons of any background can gather to receive instruction in traditional arts such as the tea ceremony, flower arrangement, calligraphy, as well as Japanese language and various martial arts, was founded in Chicago in 1978, and has become the model for several similar institutions across the country. More than 1,000 persons per year attend classes there, in an atmosphere of cross-cultural understanding and sharing. The International Zen Dojo Sogenkai, a lay organization devoted to promoting Rinzai Zen meditation and training methods, was also founded in Chicago in 1979 and has spread to a number of affiliated branches. Toyoda Shihan, confirmed as a Zen master in 1997 with the Buddhist name of Tenzan Gensei Roshi, acts as chairman of the board. The Sogenkai is committed to propagating the teachings of the late Omori Sogen Roshi, a Zen, sword, and calligraphy master, considered the greatest Zen master of the 20th century. Sogenkai is affiliated with Daihonzan Chozen-ji, a Rinzai temple founded by Omori Roshi in Hawaii and overseen by his successor, Tenshin Tanouye Roshi. Toyoda Shihan is a successor of Tanouye Roshi. This unique lineage, integrating the teachings of Zen, Budo, and the fine arts, is unlike any other in the world. In 1994 a historic development occurred: Toyoda Shihan re-established ties with the Aikikai, with the help of Kisaburo Osawa Sensei, a former mentor, and with the approval of then Doshu Kisshomaru Ueshiba. 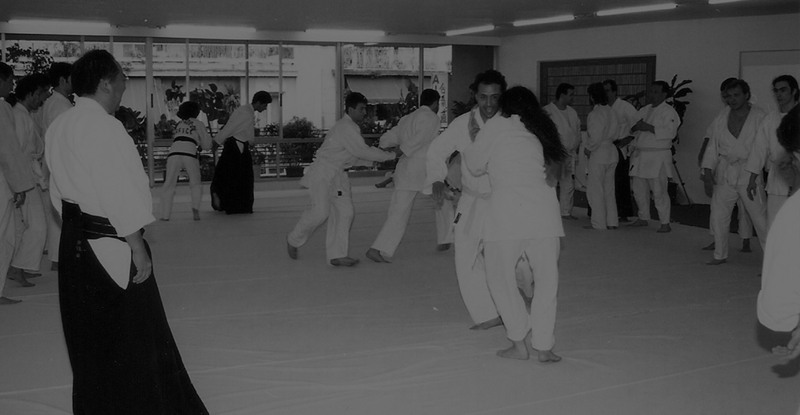 In this manner, it can now be said that the activities of Toyoda Shihan have brought further connection and growth to the original home of world Aikido. On July 4th, 2001 Toyoda Shihan suddenly passed away, dying suddenly at the age of 53. His posthumous Buddhist name is “Tenzan Gensho Rokoji.” His linage and legacy are continued by his family and loyal students. 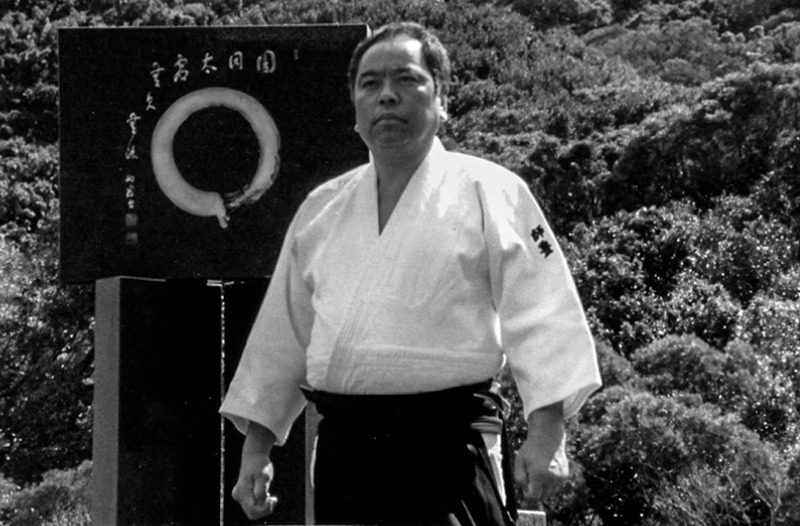 Fumio Toyoda Shihan was born on November 8th, 1947. He was already training in Aikido at the age of 10. By age 27, Toyoda Shihan was awarded Godan and moved to the US, where he would eventually build his empire. By age 29, Fumio Toyoda Shihan was Rokudan and had already founded the Japanese Culture Center in Chicago. By age 44, Fumio Toyoda Shihan created the International Zen Dojo, the Aikido Association of America, and the Aikido Association International. Toyoda Shihan was born into eternity on July 4th, 2001. 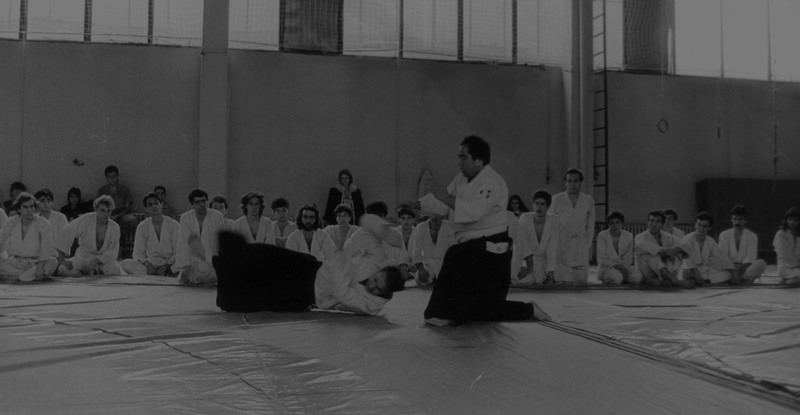 His incredible contributions to the Aikido community are recognized worldwide. The Toyoda legacy lives on in the hearts and minds of his students and family. Age 10: Started Aikido training with Koichi Tohei’s son and daughter. Teach was Aikira Tohei. Brother was 20 years old and had a black belt. Age 17: Stopped judo but continued with Aikido. Misogi training at Ichikukai Dojo. Took black belt test from Saito Sensi at Tohei Sensei’s dojo. His brother Toshi’s influence on Sensei regarding misogi training. Age 18: Started college (Senshu University). Lived at Ichikukai Dojo for 3 years. Started Zen training. Was admitted into Ichikukai on Akira Tohei’s recommendation. Age 21: Moved into own apartment close to Honbu dojo. Became assistant instructor at Honbu, 1 day/week teaching, 7 day/week training 5 hours a day. Also had a university club with about 25 students. Finished law school at Senshu University. Age 22: Became uchideshi under Kisshomaru Ueshiba. Earned Sandan. Age 27 (1974): Awarded Godan. Moved to USA. 1978: Became involved with Chozen-ji. Rogen Omori Roshi was direct instructor. 1997: Founded Aikido International Foundation. Received Inka, mind-stamp from Tanouye Rotaishi. Buddhist name is Tenzan Gensei. Born into Enternity on July 4, 2001.